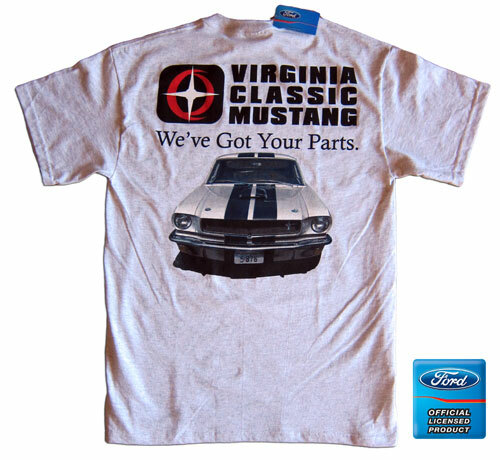 Our Virginia Classic Mustang T Shirt with the 1965 GT350 Mustang on the back. Our Logo appears on the front LH breast and our large Logo on the back with a picture of a 1965 GT350 Mustang. Very nice quality 100% Cotton T-Shirt in an Ash Gray Color. These are only available in Adult-Small and Medium. Other sizes are sold out.